Sure enough, when the time came to leap across the ocean to Lanka, Hanuman was mute. It took Jambhavan to remind him of his true capabilities, and find the confidence to accomplish the mission. When faced with challenges in life we often fill ourselves with doubt or a reason as to why we can’t overcome a situation. In the same way, we often need to be reminded by a friend, a book or an inspirational event that we are more than capable of achieving what we want if we put our wholehearted effort into it. When Hanuman met Ram he understood that his existence was for a higher purpose – to devote his life for the mission that Ram was undertaking. Hanuman worked tirelessly in search for Sita; so much so that when asked to rest, he wouldn’t stop until the work was done. 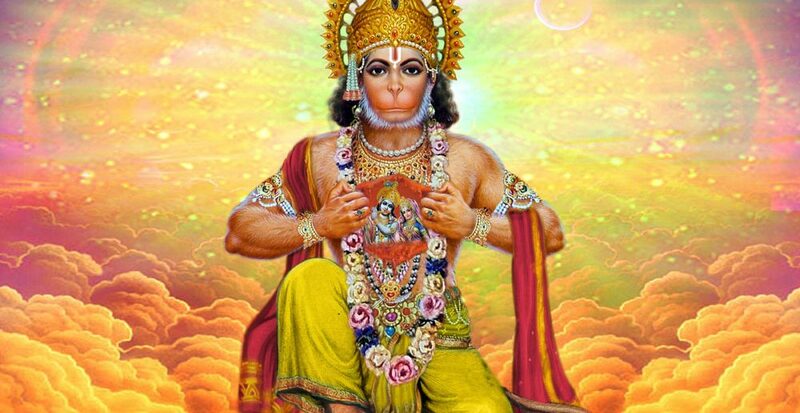 The greatness for which Hanuman is remembered is not his own abilities, but rather the actions he did for others. These selfless acts are the ones that reserve him a place in our hearts and minds today. In our own lives, the things we achieve can give us some happiness, but things we do for others bring us an everlasting joy. Hindu Swayamsevak Sangh UK [HSS UK] has been instilling the ethos of hard work, good morals and selfless working for over 50 years and it’s effects are being felt in the UK through our integration and affection for the country.